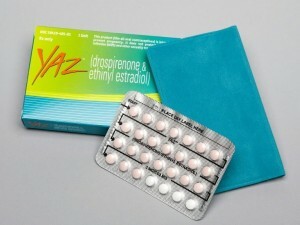 Yaz and Yasmin are oral contraceptives used to prevent pregnancy. They work by stopping ovulation and impeding the ability of a fertilized egg to attach itself to the uterine lining. Unfortunately, Yaz and Yasmin can cause a wide array of very serious complications, some of which are life-threatening. Thousands of women in the United States have sued manufacturer Bayer Pharmaceuticals, charging that the company was aware of the dangerous Yaz & Yasmin side effects but continued to market the drug nonetheless. What is Yaz & Yasmin? The FDA approved Yasmin in May 2001. The drug contained a new form of synthetic, so-called “fourth generation” progesterone called drospirenone. Bayer Pharmaceutical, which manufactured the medication, claimed that the new product made Yasmin more effective than other types of birth control, despite a lack of supporting evidence. Three years later Bayer submitted Yaz for FDA approval. Like Yasmin, Yaz also contained drospirenone. But Yaz contained less ethinyl estradiol than Yasmin and had different dosage instructions. Unlike the customary monthly birth control regimen of 21 active pills followed by seven placebos, Yaz adopted a schedule of 24 active pills followed by four placebos. Bayer asserted that the new treatment routine would help reduce unpleasant pre-menstrual symptoms (PMS). The FDA approved the contraception in 2006. Both Yaz and Yasmin cause a number of side effects. In December 2011, the FDA convened a panel to review studies of the risk of blood clots in women taking Yasmin, Yaz, and other birth control pills containing drospirenone. According to the FDA, two studies conducted in 2007 had found no increased risk among women taking Yasmin and Yaz, whereas two 2009 studies concluded that the risk was 1.5 to 2 times higher among women taking drospirenone compared to women taking birth control pills with different active ingredients. In May 2011, the British Medical Journal published two articles finding that Yaz and Yasmin caused higher risks of blood clots. One study of Danish women concluded that drospirenone users were over six times more likely to suffer blood clots compared with women not using oral contraceptives. The second study found that Yaz and Yasmin increased women’s risks of blood clots by 1.6 times compared to women raking other birth control pills. The FDA then funded its own study showing that women taking Yaz and Yasmin were roughly 1.5 times as likely to suffer blood clots as were women using other types of birth control pills. As a result of these studies, in 2012 the FDA ordered Bayer to add a “black box warning” to its Yaz and Yasmin labels. The “black box” is the FDA’s most serious warning about prescription drug complications. It is designed to highlight especially dangerous side effects and must appear prominently in all informational materials. The new label also identified a number of specific conditions that increased women’s risk of suffering a blood clot. As of April 15, 2014, 9,426 lawsuits were pending in the MDL out of a total of 11,580 that had been filed in federal court. Bayer has settled some 8,250 lawsuits charging blood clot injuries, including deep vein thrombosis or pulmonary embolism. The Yaz settlements total roughly $1.69 billion. According to Bayer’s 2013 Annual Report, about 1,950 of the remaining plaintiffs in the MDL have alleged blood clot injuries. Bayer asserts that it will continue to consider the option of settling individual claims for venous clot injuries in the U.S. on a case-by-case basis. In March 2013, Bayer agreed to allocate $24 million to settle lawsuits in which plaintiffs allege they suffered a gallbladder ­injury due to Yaz/Yasmin use. The settlement was contingent on at least 90% of eligible plaintiffs agreeing to its terms. As of February 10, 2014, roughly 8,800 plaintiffs had agreed to participate in the settlement, which represents more than 95% of the eligible plaintiffs. Thus the settlement will go forward. Bayer also faces 1Yaz/Yasmin class action lawsuits in Canada, and one in Israel. Additional cases are likely to be filed in the future, as women continue to consult qualified Yaz lawyers after suffering serious and life-threatening complications due to their use of Yaz/Yasmin.